A decade ago, about a dozen or so engineers gathered at Google’s main Mountain View campus on Charleston Road to work on Project Chauffeur, a secret endeavor housed under the tech giant’s moonshot factory X. 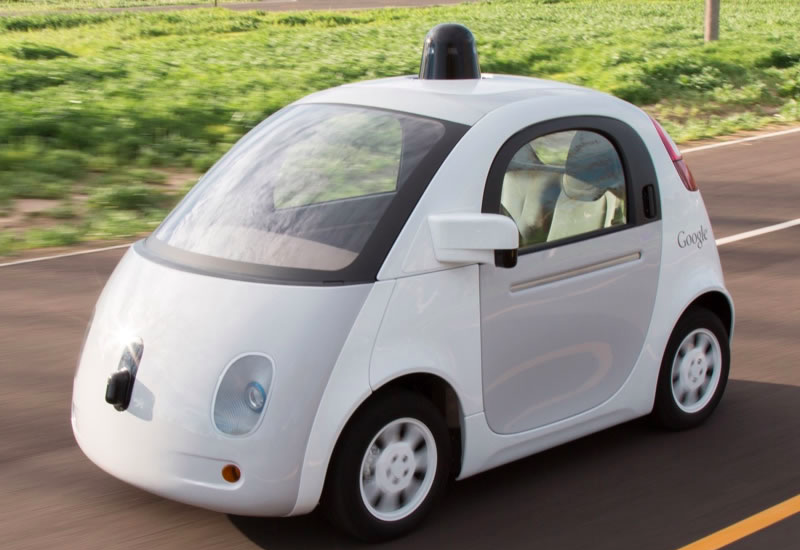 Project Chauffeur — popularly know as the “Google self-driving car project” — kicked off in January 2009. 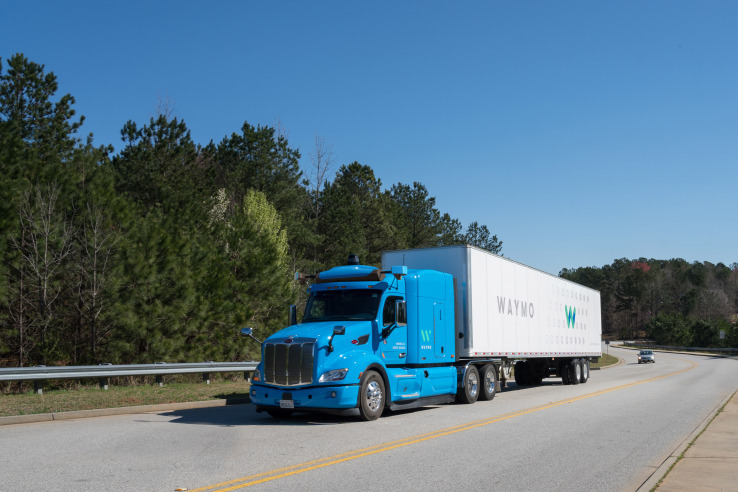 It would eventually graduate from its project status to become a standalone company called Waymo in 2016. The project, originally led by Sebastian Thrun, would help spark an entire ecosystem that is still developing today. Venture capitalists took notice and stampeded in, auto analysts shifted gears and regulators, urban planners and policy wonks started collecting data and considering the impact of AVs on cities. The project would also become a springboard for a number of engineers who would go on to create their own companies. It’s a list that includes Aurora co-founder Chris Urmson, Argo AI co-founder Bryan Salesky and Anthony Levandowski, who helped launch Otto and more recently Pronto.ai. What might be less known is that many who joined in those first weeks are still at Waymo, including Andrew Chatham, Dmitri Dolgov, Dirk Haehnel, Nathaniel Fairfield and Mike Montemerlo. Depending on how one defines “early days,” there are others like Hy Murveit, Phil Nemec and Dan Egnor, who have been there for eight or nine years. Dolgov, Waymo’s CTO and VP of engineering, chatted recently with TechCrunch about the early days, its 10-year anniversary and what’s next. Below is an excerpt of an interview with Dolgov, which has been edited for clarity and length. TC: Let’s go back to the beginning of how you got started. Take me to those first days at the Google self-driving project. DOLGOV: When I think about what drew me to this field, it’s always been three main things: the impact of the technology, the technology itself and the challenges as well as the people you get to work with. It’s pretty obvious, at this point, that it can have huge implications on safety, but beyond that, it can impact efficiency and remove friction from transportation for people and things. TC: What were these 10, 100-mile challenges that (Google co-founder) Larry Page came up with? Can you describe that to me a little bit? DOLGOV: This was probably the main milestone that we created for ourselves when we started this project at Google in 2009. And the challenge was to drive 10 routes, each one was 100 miles long. And you had to drive each one from beginning to end without any human intervention. These were really well-defined very clearly, crisply defined routes. So in the beginning, you’d engage the self-driving mode of a car, and then had to finish the whole 100 miles on its own. The routes were intentionally chosen to sample the full complexity of the task. In those early days, for us, it was all about understanding the complexity of the problem. All of the routes were in the Bay Area. We had some driving in urban environments, around Palo Alto, we had one that spent a lot of time on the freeways and went to all of the bridges in the Bay Area. We had one that went from Mountain View to San Francisco, including driving through Lombard Street. We had one that went around Lake Tahoe. We tried to cover as much of the complexity of the environment as possible. And what’s really great about that task is that it really helped us very quickly understand the core complexity of the space. TC: How long did it take to complete these challenges? DOLGOV: It took us until the fall of 2010. TC: It’s kind of amazing to think that the project was able to complete these challenges in 2010, and yet, there still seems to be so much more work to complete on this task. DOLGOV: Right. But I think this is the nature of the problem. There is a huge difference between having a prototype that can do something once or twice or a handful of times versus building a product that people can start using in their daily lives. And it is, especially in this field, when we started, it’s very easy to make progress on these kinds of one-off challenges. But what really makes it hard is an incredible level of performance that you need from your system in order to make it into a product. And that’s number one. And number two, is the very long tail of complexity of the types of problems that you encounter. Maybe you don’t see them 99 percent of the time, but you still have to be ready for that 1 percent or 1.1 percent. TC: When you think back to those early days — or maybe even more recently — was there ever a moment when there was a software problem, or even a hardware problem that seemed insurmountable and that maybe the tech just wasn’t quite there yet? DOLGOV: In the early days, we had all kinds of problems that we faced. In the early history of this project, we only set out to solve some problems without really knowing how we were going to get there. You start working on the problem, and you make progress towards this. Thinking back to how these past few years have felt to me, it’s been much less of a here’s one problem, or a small number of really hard problems and we kind of hit a wall. Instead, it’s been more like hundreds of really hard problems. None of them feel like a brick wall because, you know, the team is amazing, the technology is really powerful and you make progress on them. But you’re always juggling like, hundreds of these types of really complex problems, where the further you get into solving each one of them, the more you realize just how hard it really is. So it’s been a really interesting mix. On one hand, the problem getting more difficult, the more you learn about it. But on the other hand, technology making more rapid progress and breakthroughs happening at a higher rate than you would have originally anticipated. TC: When did you realize that this project had changed (beyond the official announcements)? When did you realize it could be a business, that it was something that could be a lot more than just solving this problem? DOLGOV: I would describe it as more of an evolution of our thinking and investing more effort into more clearly defining the product and commercial applications of this technology. When we started, in that very first phase, the question was, “is this even feasible? Is the technology going to work?” I think it was pretty clear to everybody that if the technology succeeded then there was going to be tremendous impact. It wasn’t exactly clear what commercial application or what product would deliver that impact. But there was just so many ways that this technology would transform the world that we didn’t spend much time worrying about that aspect of it. When you think about it, what we’re building here is a driver: our software, our hardware — the software that runs in the car, the software that runs in the cloud. We look at the entirety of our technology stack as a driver. There are about 3 trillion miles in the U.S. that are driven by people. In some cases, they drive themselves, in some cases, they drive other people, in some cases, they drive goods. 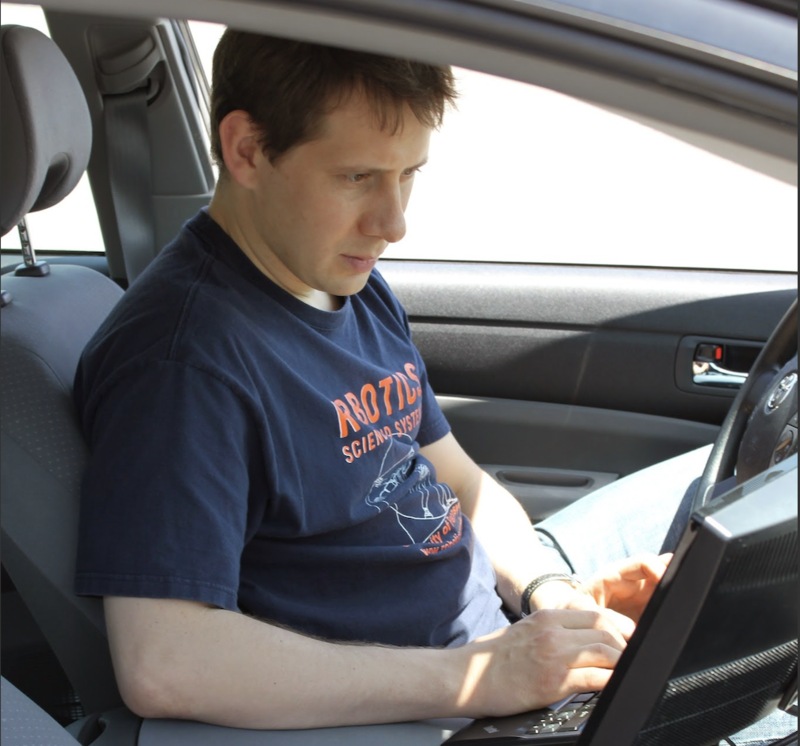 Once you have the technology that is “the driver,” you can deploy it in all these situations. But they have their pros and cons. Over time, our thinking on ‘what are the most attractive ones?’ and ‘in what order do we tackle them?’ has matured. This is what they’re doing today as a result of all of that work. Ride hailing is the first commercial application that we’re pursuing. Beyond that we are working on long-haul trucking, long-range deliveries. We’re interested, at some point, deploying the technology in personally owned cars, local deliveries, public transportation and so forth and so on. TC: What application are you most excited about? The one that you think maybe is overlooked or one you’re personally the most excited about? DOLGOV: I’m super excited about seeing the technology and the driver being deployed in, you know, across the globe and across different commercial applications. But I think the one that I am the most excited about is the one we’re pursuing as our number one target right now, which is ride hailing. I think it has the potential to affect positively the highest number of people in the shortest amount of time. I also use our cars every day to get around; this is how I got to work today. This is how I run errands around here in Mountain View and Palo Alto. It’s wonderful to be able to experience these cars and it just removes a lot of the friction out of transportation. 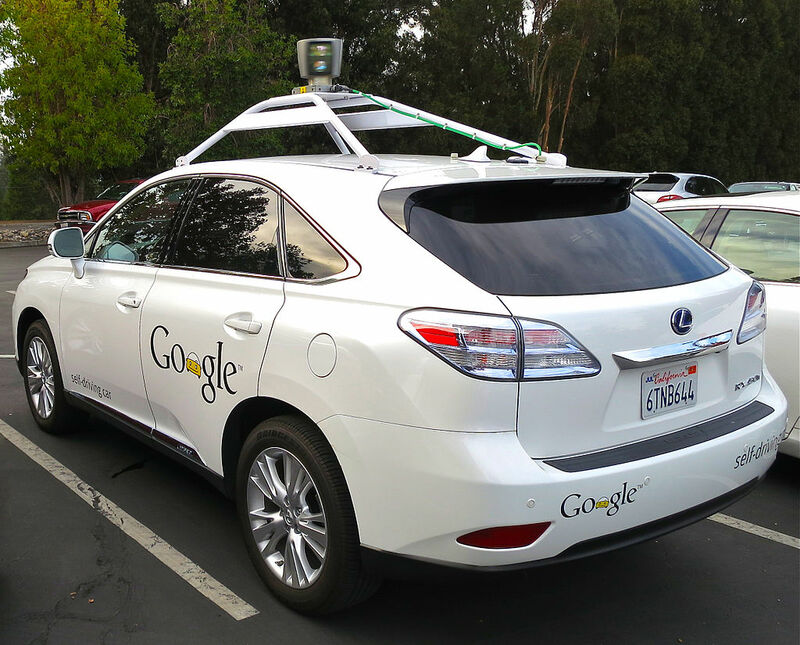 TC: So you you take a self-driving car to work every day right now? DOLGOV: Yes, but in California, they still have people in them. TC: How long have you been doing that? DOLGOV: Awhile. Actually, it seems like forever. I’ve always spent time in the cars. I think it’s really important to experience the product that you’re building and have direct experience with the technology. This was obviously the case in the early days of the project when there was a small group of us doing everything. As the team grew, I would still make sure I would experience the technology and go on test rides at least weekly, if not more frequently. When we started pursuing the ride-hailing application, and we built an app for it, and we built out infrastructure to make it into a user-facing product, I was one of the earlier testers. That must have been three years ago. TC: Did you expect it to be at this point that you are right now, 10 years ago, did you expect like 10 years from now, this is where we’re going to be? Or did it happen faster or slower than you anticipated? DOLGOV: So for me, I think on one hand, I would not have predicted some of the breakthroughs in the technology on the hardware front, on the software and AI and machine learning back in 2009. I think the technology today is much more powerful than I would have probably said in 2009. On the another hand, the challenge of actually building a real product and deploying it so that people can use it has turned out to be more difficult than I expected. So it’s kind of a mix. TC: What were some of those technological breakthroughs? DOLGOV: There were a number of things. LiDARs and radars became much more powerful. And by powerful, I mean longer range, higher resolution and more features, if you will, in terms of the things that they can measure — richer returns of the properties of the environment. So that’s on the sensing side. Compute, especially in the hardware-accelerated parallel computation, that’s been very powerful for the advancement of neural networks. That has been a huge boost. Then there’s deep learning, and the neural nets themselves have led to a number of breakthroughs. TC: Yeah, with the last two examples you gave, I think of those as being breakthroughs more recently, in just the last few years. Is that about the time frame? DOLGOV: We’ve always used machine learning on this project, but it was a different kind of machine learning than today. I think in 2012 is probably when, on our project, there was meaningful effort and when we were working together with Google on both the self-driving technology and deep learning. Arguably, at the time Google was the only company in the world seriously investing in both the self driving and deep learning. At that point, we didn’t have the hardware to be able to run those nets on the car, in real time. But there were very interesting things you could do in the cloud. For deep learning, 2013 was a pretty big year. I think this is when ImageNet won a big competition and it was a breakthrough for deep learning. It outperformed all the other approaches in the computer vision competition. TC: In 2009, could you imagine a world in 2019, where numerous self-driving vehicle companies would be testing on roads in California? Was that something that seemed plausible? DOLGOV: No, no that’s not the picture I had in mind in 2009 or 2010. In those early days of the project, people kind of laughed at us. I think the industry made fun of this project and there were multiple funny spoofs on the Google self-driving car project. It’s been pretty amazing to go from, ‘oh there is small, group of crazy folks trying to do this science fiction thing at Google’ to this becoming a major industry that we have today with dozens, if not hundreds, of companies pursuing this. TC: What will be the tipping point that will get folks on board with self-driving vehicles in their city? Is it a matter of just pure saturation? Or is it something else that all the companies, Waymo included, are responsible of helping usher in? DOLGOV: It seems like there’s always a spectrum of people’s attitudes towards new technology and change. Some of the negative ones are more visible. But actually, my experience over the last 10 years, the positive attitude and the excitement has been overwhelmingly stronger. What I have seen over and over again, in this project that really is very powerful, and that is powerful and changes people’s attitudes from, uncertainty and anxiety to excitement and comfort and trust is being able to experience the technology. You get people into one of our cars and then go for a ride. Even people who are anxious about getting into a car with nobody behind the wheel, once they experience it and once they understand how useful of a product it is, and how well the car behaves, and they starting trusting it, that really leads to change. As the technology rolls out and more people get to experience it firsthand, that will help. TC: Are the biggest challenges in 2009 the same as today? What are the final cruxes that remain? DOLGOV: In 2009, all the challenges were all about one-off problems we needed to solve and today it’s all about turning it into a product. It’s about the presentation of this self-driving stack and about building the tools and the framework for evaluation and deployment of the technology. You know, what has stayed true is that it’s all about the speed of iteration and the ability to learn new things and solve new technical problems as we discover them.